News Flash: the green luminescent beetle-y thing. I’ve struggled to name it (no, not Arthur, that’s a silly name for a beetle) but I think it’s a Rose Chafer. 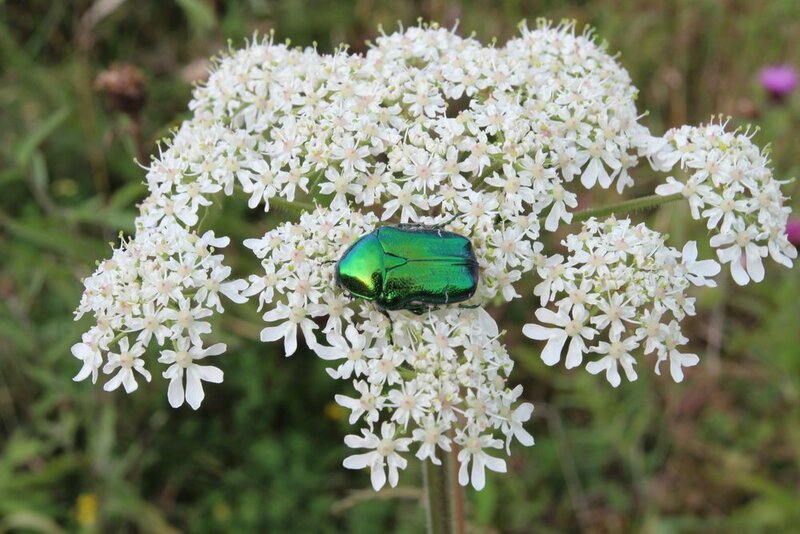 Or Cetonia Autata if you want to be nerdy. But if anyone reckons it isn’t then please let me know. If you can be bothered.